The fourth edition of The New Amsterdam Affair was a Party with a Purpose! 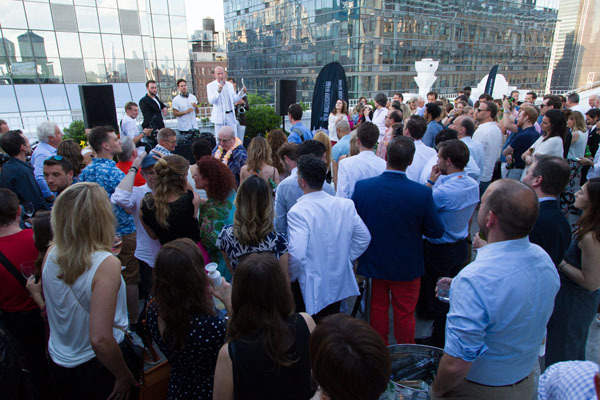 Ten Amsterdam brands joined forces at the annual rooftop party, which brought in guests to come together and contribute to a good cause. 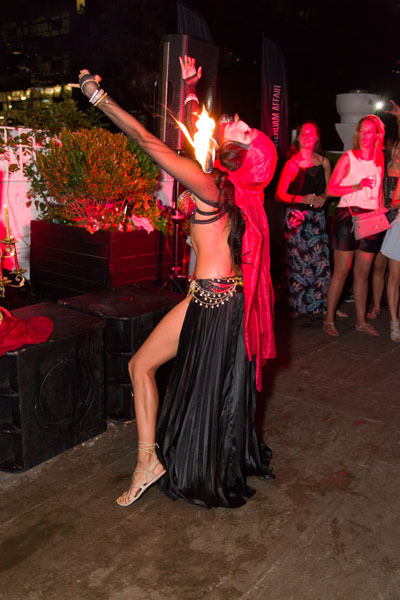 600 guests were in attendance, with DJ’s, dancers, drummers and fire dancers creating a spectacle and entertaining guests. 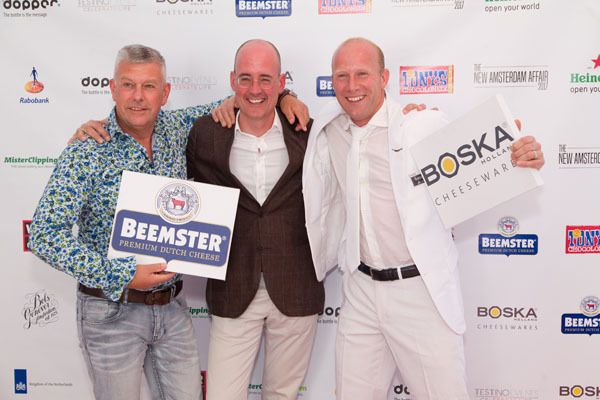 The New Amsterdam Affair connected people from Amsterdam whom are all ultimately working to build Amsterdam Brands in the U.S. with American retailers, foodies and design lovers. Two newcomers to the party this year included Ellis Faas, a make-up brand and Tony’s Chocoloney, a 100% slave free chocolate brand. Ellis Faas kicked off its annual “Make Up Not War” campaign, this year and also launched a special edition Ellis Lips collection, along with matching t-shirts. All the proceeds are donated to the War Child charity, a beautiful cause to help young victims of war. Tony’s Chocoloney, comes with a wish to ‘make a difference’ this year. Their vision is to make the production of 100% slave-free chocolate a reality, not just their own, but all chocolate produced worldwide. Tony’s Chocoloney chocolate bars are unequally divided, to illustrate the unequally divided chocolate industry.